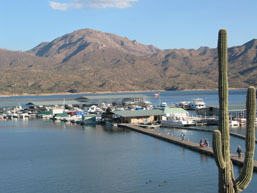 Bartlett Lake is located in the northeast valley only 48 miles from downtown Phoenix and 17 miles northeast of Carefree and is within 1 hour from most valley locations. The scenic Bartlett Lake Road combined with the expanding Phoenix freeway system offers easy access from the entire Valley of the Sun. Take 51 north to 101 East. Take 101 East to Pima/Princess Road (Exit 36). Go left (north) to Cave Creek Road. Turn right (east) on Cave Creek and travel 4 miles to Bartlett Dam Road. 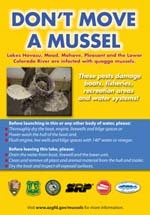 Turn right on Bartlett Dam and in 20 minutes you will arrive at Bartlett Lake Marina (13 miles). Take I-17 north to the Carefree Highway (Exit 223). Turn right (east) on the Carefree Highway and turn left on Cave Creek Road (9 miles). 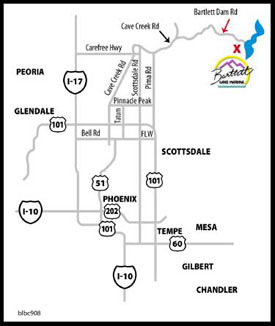 Go through the towns of Cave Creek and Carefree and travel 10.5 miles to Bartlett Dam Road. Take 101 North to Pima/Princess Road (Exit 36). Go right (north) to Cave Creek Road. Give Bryan a call at (480) 221-0503 to schedule time to walk-through our fleet & begin your next adventure!